Happy Monday! I hope you all had an amazing weekend and are enjoying the extra day off! 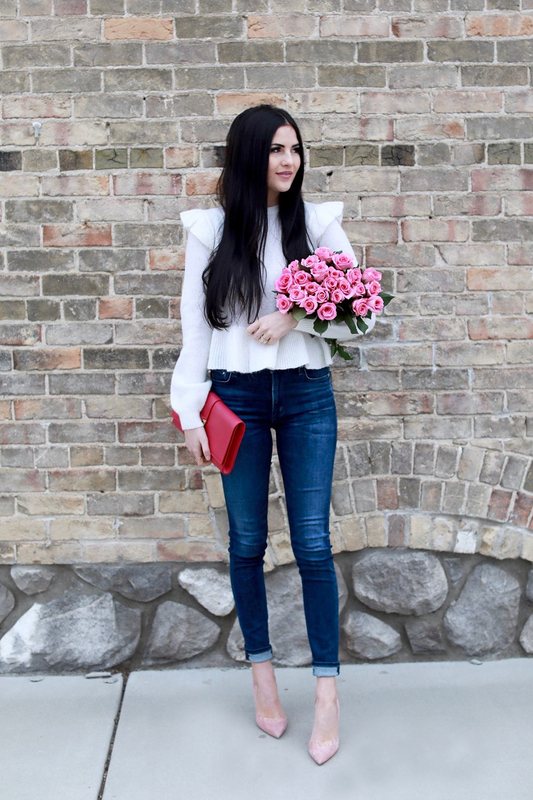 I had some questions about what I wore on my birthday, so I’ve linked all of the details! Ok now for a backstory on this sweater: The sweater that I originally thought I ordered is the one I’ve linked above, but then I was sent this one I’m wearing. The one I’m wearing is not on Nordstrom’s site so I don’t know if I was sent the wrong sweater or if the product image is wrong. Even though I was sent the wrong one I decided to keep it because it’s pretty similar and I thought it was still cute! So I know the link doesn’t look like the one I have on but that’s the one I ordered to get the one I’m wearing and I can’t find the one I’m wearing online anywhere. Kind of confusing, hope that made sense! Thank you for all of the sweet birthday wishes! I love those shoes! They’re the perfect shade of pink! 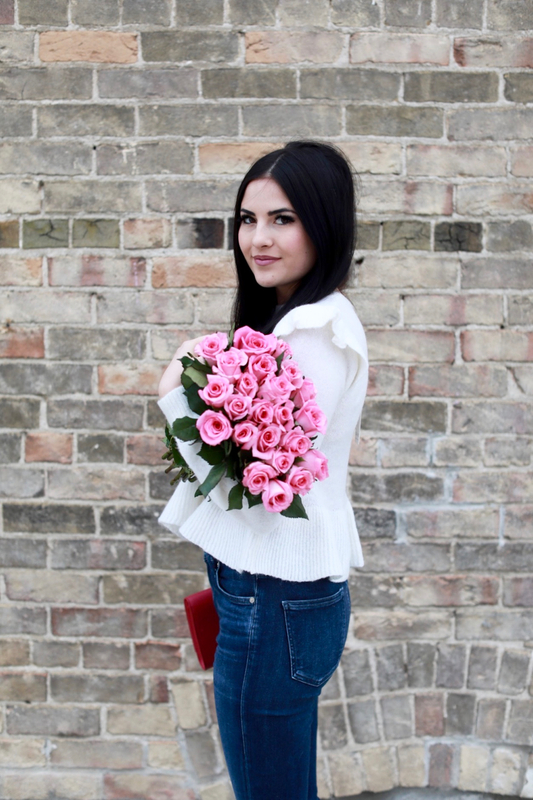 Such a cute look – happy belated birthday! Love this look!! You look so pretty! Happy Belated Birthday, Rach! I hope you had a wonderful time celebrating, you look absolutely beautiful as always! Something similar happened to me recently when I purchased a pair of jeans, I kept them as well because they were still cute :) Thanks for sharing and I hope you have a wonderful week ahead! Looking so pretty, elegant and absolutely gorgeous top to bottom! LOVE your blouse! That is a darling sweater! Such a chic outfit! Happy Birthday!! Love the outfit! Question– You posted your denim is JBrand but the link takes you to Citizens?? Are those the Citizens because I love the wash!! Thanks! That’s so weird that they sent you the wrong sweater! did you email customer service and ask about it? And did your receipt list the sweater you ordered or the one you got? Either way you looked lovely and I hope you had a good birthday! Hope you had a wonderful birthday! Looks like you did on snapchat!! Hope you had a lovely birthday! Love your outfit. Love this outfit! 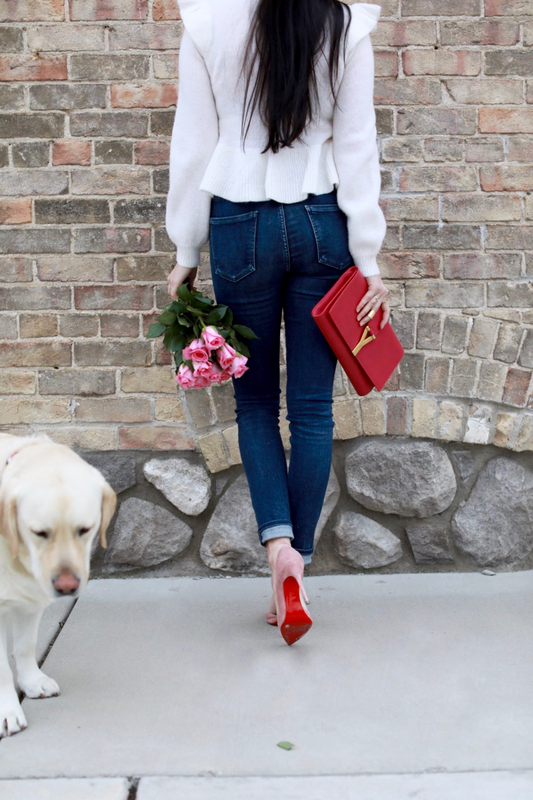 Love the shoes and bag! Happy birthday Rach! It looks like you had a fabulous weekend. :) I love that ruffle top and your pink Louboutin’s, such a pretty combo. Hi! I linked on the jeans and citizens cams up not the j brand. Could you link the correct ones please? Thank you! Your sweater is so pretty! I especially like the shoulder details! That’s so funny they sent the wrong one, but at least you love it. 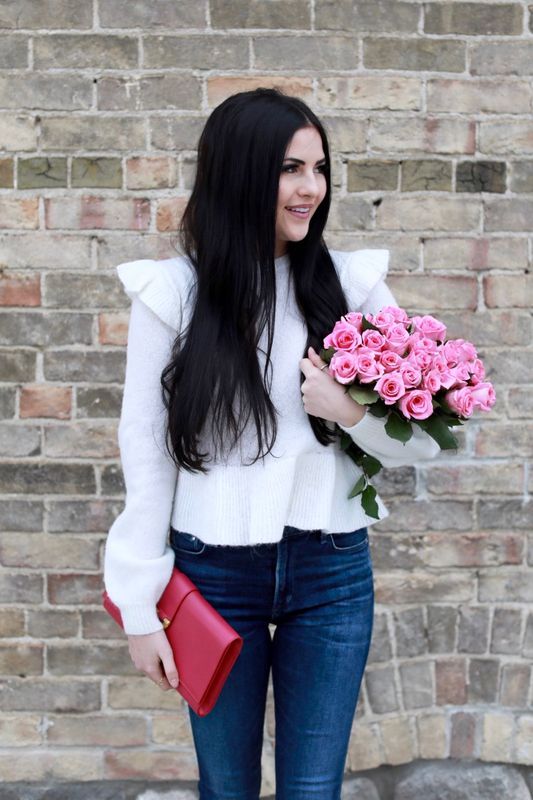 It’s super cute – I love a good peplum sweater. It’s refreshing for the new year. Happy birthday!!!! Hope you had an awesome day! love this top and heels! Happy Birthday by the way! It’s really cute! So weird you can’t find it – I hate when that happens! It’s really cute – the frills are very chic. The sweater is really cute! I would have kept it too. Hope you had a Happy Birthday! I love your blog, but you know its not “just” an extra day off its to remember all the good MLK has done. I love your blog, but I hope you understand that today was not ‘just’ an extra day off. 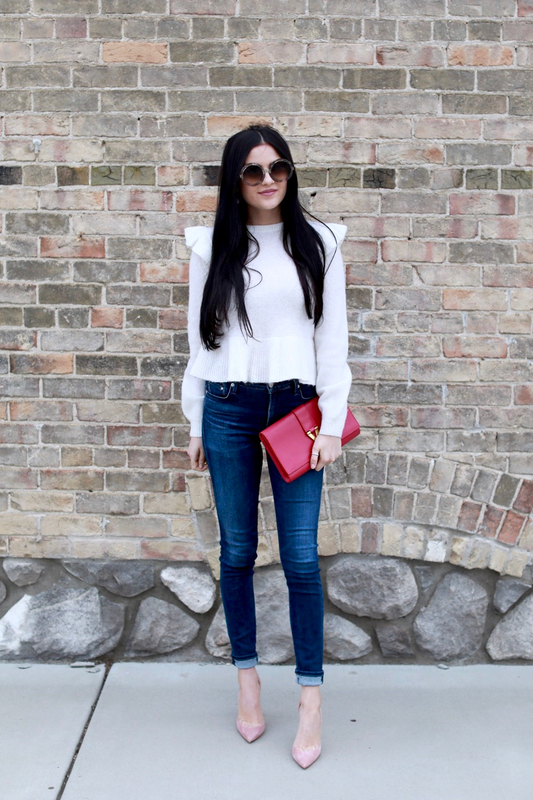 Love the pretty ruffles on this sweater! You look great! Happy Birthday!! I love the sweater you have on too! Happy belated Birthday!!! I hope you had a good one! And super cute outfit!